A lovely new hybrid sunflower growing in my garden this summer. 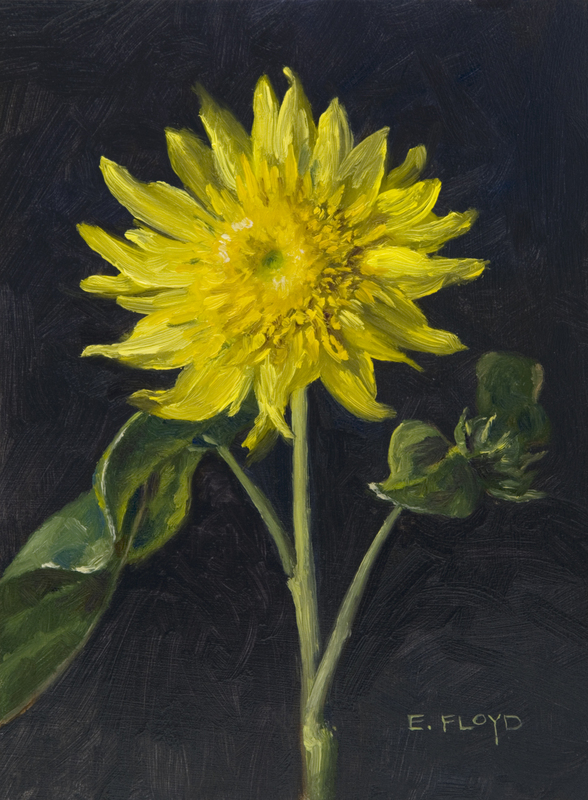 When I painted this sunflower, my daughter Naomi immediately identified that the sunflower was missing its dark brown center, and to her mind, it was all wrong. This is when I brought up that these sunflowers have been around for a long time, but that this was my first summer growing them. To each is own, however I love how it really looks like a sunburst. My completed and finished paintings are sold through galleries only. Please contact my gallery if you are interested in purchasing a painting.